Crisp and clean with a newly furnished kitchen, bedroom and living room, which as a vaulted ceiling and skylight. 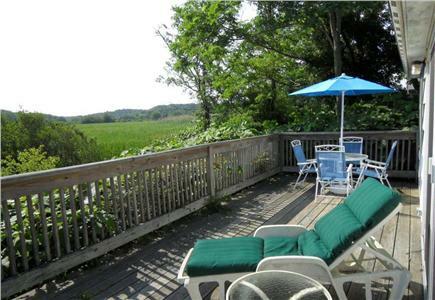 Two large sliders lead to the spacious wrap-around deck for viewing beautiful sunsets over the marsh. 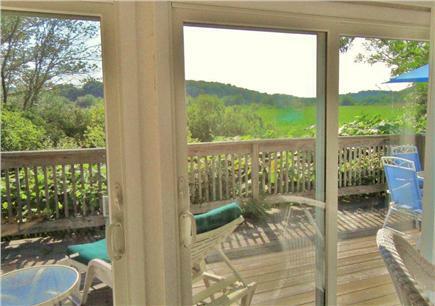 Privacy and nature are on your doorstep with 10 acres of beautiful marsh views. 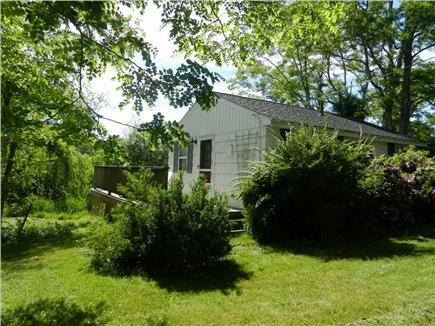 More than a step up from your typical cottage, set back from the road, very peaceful and quiet. This is a stand alone cottage and not part of a cottage colony. The front of the cottage faces a gently sloping lawn and trees, the back faces nothing but the marsh, home to many beautiful birds and ensuring a most relaxing and peaceful vacation. 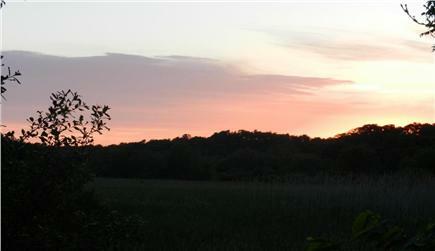 The cottage is in an ideal location, minutes to beaches, ponds and village and a five minute ride to the bike trail. 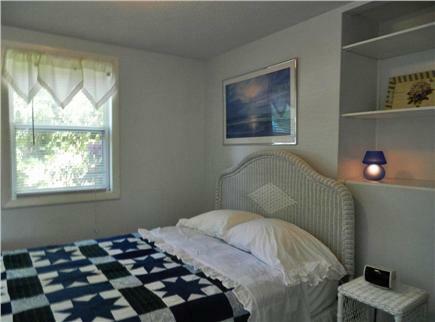 It offers all you could want in a comfortable vacation home. The police and fire departments are a short distance away which is a comfort to all the guests. WELL BEHAVED DOGS ARE ALLOWED WITH AN ADDITIONAL WEEKLY FEE OF $100.00.THERE ARE NO CLEANING FEES AND PRICES POSTED DO NOT INCLUDE TAXES. THERE IS HOWEVER A MIMIMAL SECURITY DEPOSIT WHICH IS CUSTOMARY AND WILL BE RETURNED THE WEEK AFTER OUR GUESTS DEPART IF COTTAGE IS LEFT AS YOU HAVE FOUND IT. THE MONTHS OF MAY AND JUNE ARE TAX FREE WHICH INCLUDES THE FIRST WEEK IN JULY REPORTED TO OWNERS BY THE STATE. HAVE A GREAT VACATION. Additional pricing info: WELL BEHAVED DOGS ALLOWED AT $100.00 PER WEEK. NO CLEANING FEES. State and local taxes of 12.45% will apply. Two easy steps onto the deck and three more to enter the cottage. Our second stay at this cottage, we couldn't have asked for a nicer week. Long hot days spent up in the Provincelands are followed by incredible cross breezes at the cottage with views of the setting sun and late night sky that really make evenings pleasant. The restaurant next door gets busy, but even our 'country' dog doesn't notice it. Thank you, Emilie, for your thoughtful remarks. We are so pleased you were comfortable and enjoyed your stay here once again. 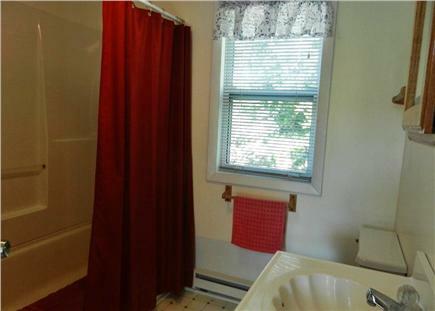 You are welcome anytime and thank you very much for leaving the cottage in excellent condition. It makes me know I'm doing the right thing in not charging our guests a cleaning fee. Be well till we see you again and I hope we will! You were terrific responsible guests and so was your dog! I appreciated your thoughtfulness and the way you left the cottage. You are welcome anytime and I hope I have the pleasure of that happening. Be well and have a wonderful year. We had a lovely stay at the cottage. 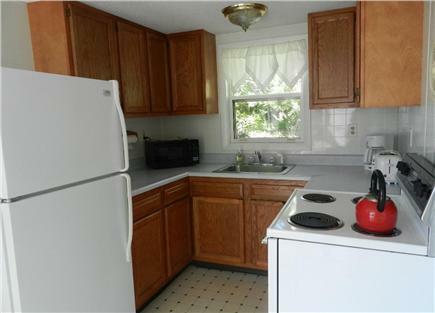 It was clean and nicely furnished. Having our morning break fast and candlelight dinner on the back deck was delightful. Wonderful views of the sunset. Your review was certainly appreciated. It means a lot to us that you enjoyed your vacation, our cottage, and our wonderful village. It's not just all about having guests staying at our cottage, it's about being happy you chose us and hopefully will come again. You departed and left the cottage very much as you found it and we are grateful. Have a wonderful 2018 and beyond. 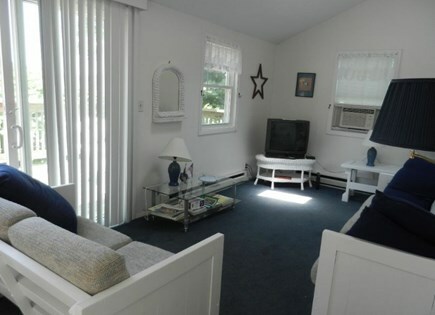 This cozy property is tucked right off of Route 6. Great restaurant and dessert right next door and Box Lunch a half mile away. Town and Mayo Beach not far either! 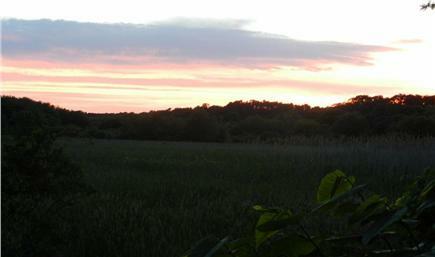 The sunsets are incredible and we enjoyed the large deck as often as we could. This was the perfect dog friendly spot ! Thank you, Dana and Mike, for taking the time to write the review. It is appreciated. It was a pleasure to have you stay at the cottage as well as leaving it in such nice condition. Hope to see you again, including your sweet dog Cooper! Wishing you well. Have a happy and healthy year. So happy we succeeded in making your vacation a wonderful experience. Important to us that you have found everything as you had hoped. We were grateful to have such respectful guests leaving the cottage neat as a pin when you departed and of course you are more than welcome to visit again. Your dogs were terrific and you were so kind to pick up after them keeping all in order. Have a wonderful rest of 2018, be well. 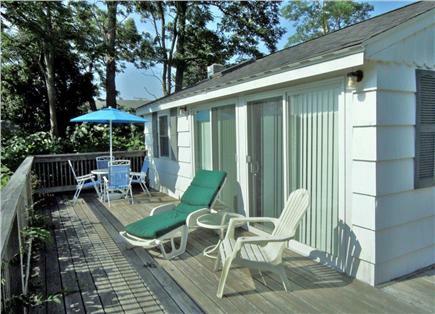 This is a wonderfully situated cottage, convenient to the town and harbor and also within walking distance of an excellent restaurant. 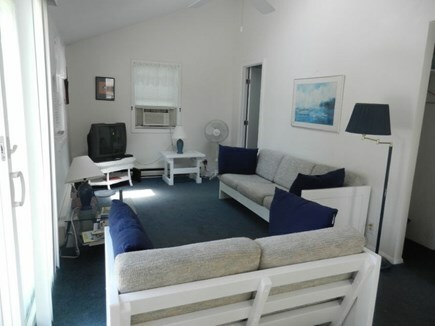 The cottage is cozy, clean & adequately appointed. The landlord is attentive & courteous. National Seashore beaches are nearby, as are kettle ponds & town beaches. 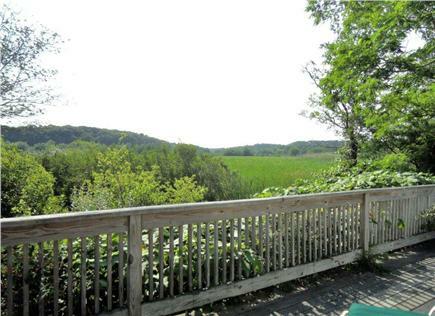 The best part of Cozy Cottage is the very private wraparound deck overlooking the marsh, where each night of good weather reveals an astonishing sunset. Romantic, relaxing and magical place to stay. I want to thank you so much for the review and even more so for leaving the cottage the way you found it, neat and clean. It's always a pleasure when you have guests that are so respectful of the property and want to return. Have a wonderful rest of the year.